I don’t know what’s going on exactly, if there is something in the air or what but my article on Twin Souls has suddenly picked up serious traction. I’ve been receiving emails asking for more information. So, just to be clear, I’m NOT an expert on this matter. Not by any stretch of the imagination. I struggle with these themes and issues as much as the next person, share the same longings and try to make sense (if there is any to be made) with some of the encounters I’ve had in my own life, the inexplicable coincidences, the strangeness, the joy and yes, the hurt too. I avoid much of the stuff posted online as much as I can. Most of it is the usual “love and light” New Age blah, blah, blah with purple flames and red roses and borderline soft-core art that you see on trashy romantic novels . Reading even one paragraph of that makes my eyes glaze over and my brain go fuzzy. All I want to do at that point is take an aspirin and go have a nap. Instead whatever I might have learned is largely based on experience but also by processing certain books, ideas and especially film. 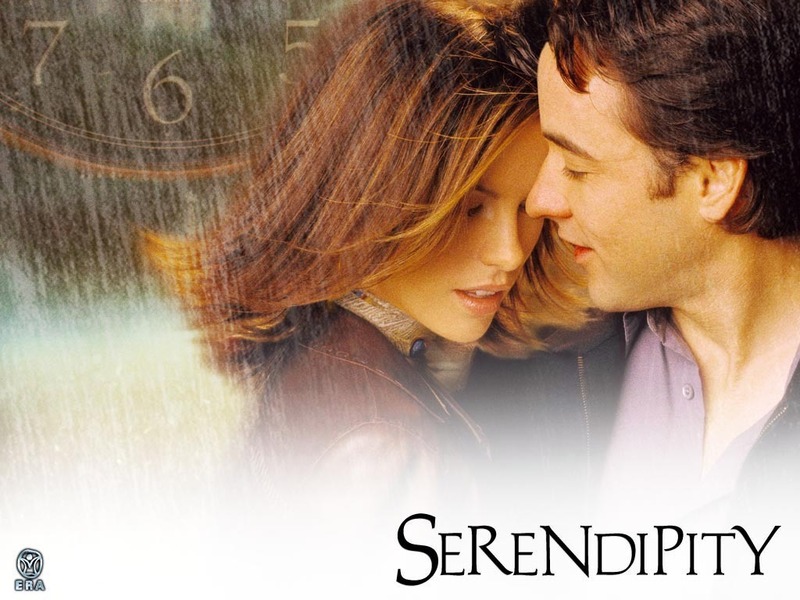 Serendipity (2002) – John Cusack and Kate Beckinsale , about the weird coincidences and more around Twins. Yeah, it’s a schmaltzy Hollywood feel-good film but it’s a great primer on Twins for people who have never heard of the concept. Wuthering Heights (1992), book by Emily Bronte- Ralph Fiennes, Juliette Binoche. The original book is great too, Heathcliffe and Cathy are archetypical, tortured Twins. This is a story of Twins when there is serious karma which still has yet to resolve itself. The song depicting the story by Kate Bush is pretty good too, produced by Pink Floyd’s David Gilmour. Jane Eyre (2011) book by Charlotte Bronte – Michael Fassbender, Mia Wasikowska, Jane Eyre and Mr. Rochester are Twins who make peace at the end. Both Bronte sisters were channeling something very powerful when they wrote these masterpieces of English literature. The Curious Case of Benjamin Button (2008) – Brad Pitt, Cate Blancett, how the cord which binds Twins, sees past superficial differences, like age, race, culture, class etc. In the case of this movie, it shows how Twins, somehow “know” each other and often times avoid each other to get away from the fact. An Affair to Remember (1957) – Cary Grant, Deborah Kerr. How Twins sometimes need to overcome some obstacles together. Directed by Leo McCarey, this has to be the single most romantic film of all time, what starts off as a romantic comedy ends up being a meditation on the redemptive power of love to heal. Café de Flore(2011) – Vanessa Paradis. How Twins and soul mates can easily get mixed up…and the karmic debris which often results. French and Canadian co-production, in French. The English Patient (1996) – Ralph Fiennes, Kirsten Scott Thomas, About some of the obstacles which appear if Twins meet when they are not ready. Oftentimes one Twin or both are married to other people. Breaking the Waves (1996) – Emily Watson, A very disturbing movie to watch, but worth the reward at the end, shows in the end, Love is All and how Twins bridge that gap. Even beyond death. The French Lieutenant’s Woman (1981) – base on the book by John Fowles, Jeremy Irons, Meryl Streep- The book is MUCH better than the film, film is also good. A Scorpion tale of weirdness between Twins, how one may know the other is a Twin, and yet the second doesn’t understand…yet…but will eventually. Lost in Translation (2003) – Scarlett Johannson, Bill Murray, these two are Twins in the film even if it doesn’t look like it on the surface. They somehow connected on a deeper, emotional level. Amelie (2001) – Audrey Tatou – A joyous and idiosyncratic film about Twins finding each other in modern-day Paris. Castaway (2000) – Tom Hanks, Helen Hunt, How Twins find each other only when they are BOTH ready and when the time is right. This film shows that lost chances are sometimes blessings in disguise even if at first glance, it doesn’t look like it. 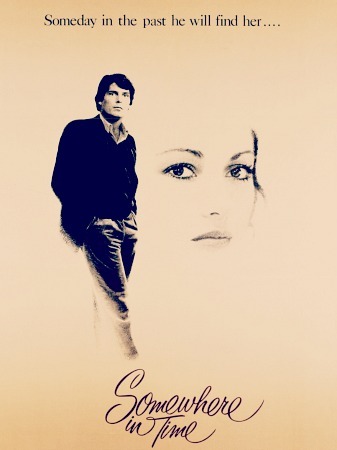 Somewhere in Time (1980)– Christopher Reeve, Jane Seymour, one Twin travels back in time to meet his missing half. The film has a cult following now and even inspires a yearly gathering. Like Water For Chocolate (1992) -Spanish with English subtitles, the only film I know of which actually goes into Twin Flames, as explained by Tita’s Mayan Grandmother. Visually stunning film. Ghost (1990) – Demi Moore, Patrick Swayze, Hollywood treatment of how Twins are still connected even after death. The Fountain (2006) – Hugh Jackman, Rachel Weisz- A story of Twins across 10 centuries and different incarnations. A Spanish Conquistador, a modern day husband, an astronaut in the 26th century and his Twin. 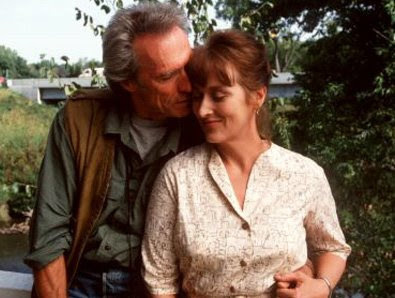 The Bridges of Madison County (1995) – Clint Eastwood, Meryl Streep (1995), How twin are often usually married or taken up with other people or duties. Based on the book which I never read but the two leads are great at showing mature love. The Shawshank Redemption (1994) – Morgan Freeman, Tim Robbins (1994) – How Twins are not always together based on a romantic context, they can also be friends. This is probably my favorite film of all time. Wings of Desire (1987) – by Wim Wenders, The Hollywood version with Meg Ryan and Nicolas Cage called “City of Angels” was a very poor imitation of this beautiful original. German with English subtitles. How Twins may not necessarily even be in the same dimension at the same time. One can be in Spirit. In the case of this film, one is an angel. Three Colors: Red (1994) (or Trois Couleurs: Rouge) – film by Polish director Krzystof Kieslowski, French with English subtitles. Kieslowski was obsessed with parallel universes and Twinship and it shows in all his films. This one is about the strange coincidences and circumstances which bring Twins together. The Double life of Veronique (1991) : Another Kieslowski film on Twins, with very, very strong symbolism. Valley of Flowers (2007): Milind Soman, Mylene Jamponoi, Naseeruddin Shaw, An Indian-French co-production by director Pan Nalin, a tale of Twins, karma, immortality and Tantra against a backdrop on the Himalayas and modern day Tokyo with gurus and Indian sahdus. Shot entirely in Ladakh, India, a film which can stick with you for days afterwards. Before Sunrise (1995) AND Before Sunset (2004) AND Before Midnight (2013): Ethan Hawke and Julie Delpy, how the cord between Twins cannot be broken, even after many years and life circumstances . Richard Linklater’s trilogy is a triumph of covering the lives of Jesse and Celine over a period of 19 years. On a Clear Day You Can See Forever (1970): – Barbara Steisand, Yves Montand, Jack Nicholson – A musical rife with symbolism about past lives, reincarnation and Twin Souls. LG makes many references to it in her work also. Xanadu (1980) : Olivia Newton-John, Gene Kelly, How Twins work especially with respect to the creative process. At first glance, a cheesy roller-disco musical, but watch closely and read between the lines. 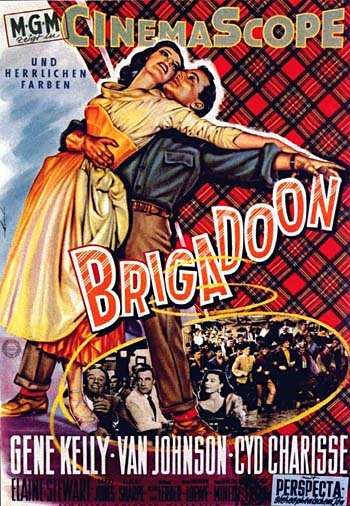 Brigadoon (1954): Gene Kelly, Cyd Charisse, A fairy tale of Twins who connect across dimensions. Listen to Gene Kelly’s dialogue carefully, esp. when he is at the bar back in New York. 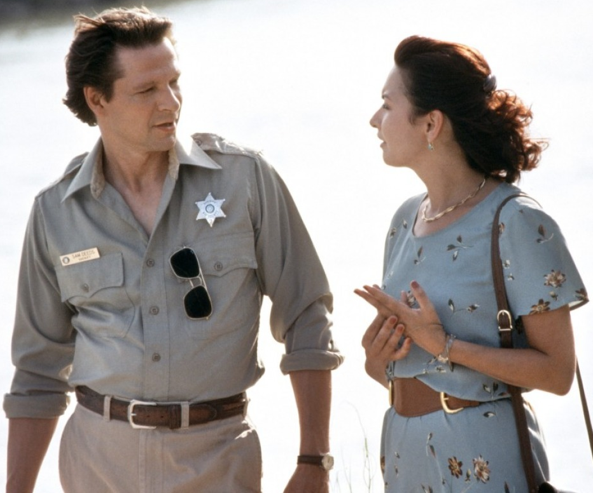 Lone star (1996): Kris Kristofferson, Matthew McConaughy, Chris Cooper, Elizabeth Pena. How the Twin can never be truly hidden from the other. Moonrise Kingdom(2011) : Bill Murray, Edward Norton. Probably the best film out there showing that Twins can recognize each other at any age, even in childhood. Harold and Maude (1971): Bud Cort, Ruth Gordon. Probably the most unlikely love story you’ll ever encounter in your life. A rich teenager, who hates his life, constantly fakes his own death to unnerve his clueless socialite mother, drives a hearse and attends funerals for fun meets a kindred and understanding spirit in the form of a 70 year old eccentric woman who steals cars and kidnaps trees from cities to plant them in the forest. With a rocking soundtrack from Cat Stevens, it’s easy to see why this film has become a cult classic. The Ghost and Mrs. Muir (1947): Gene Tierney, Rex Harrison. A film of Twins, one a ghost, another alive and how Twinship ascends even physical reality. Merry Christmas Mr. Lawrence (1983): David Bowie, Ryuichi Sakamoto. A film about gay, unrealized and unsaid Twins. Rock star David Bowie plays Jack Celliers in a Japanese prisoner of war camp film by Nagisha Oshima set in Java in 1942. Oshima has stated that this film is really about parallels and Cellier’s Twin in this case is the Japanese chief of camp, Captain Yonoi played by another real-life rock star, Ryuichi Sakamoto. Bowie and Sakamoto are at the height of their physical beauty in this film. When Captain Yonoi’s real feelings are torn apart by Cellier’s forbidden kiss near the end, something Yonoi desperately wants and at the same time he can’t admit to ever wanting, it’s an emotional eruption which sticks with you for days. A beautiful film full of subtlety and power. I Know Where I’m Going! (1945) : Wendy Hiller, Roger Livesey. A film about a headstrong, ambitious young woman named Joan Webster who is one her way to the remote Scottish island of Kiloran to marry the fabulously wealthy but much-older industrialist Sir Robert Bellinger. Setback after setback hits Joan with a fog and then a gale which lasts for days making the boat trek to Kiloran impossible, leaving her stranded on the island of Mull. While there, she meets the handsome naval officer Captain Torquil MacNeil (Roger Livesey at his most dreamy). As the days pass, Joan and Torquil’s unadmitted feelings for one another continue to deepen. Joan fearing she will lose everything she has worked so hard for in her life, tries to flee Mull but Mother Nature, the Fates and Captain MacNeil have other plans. This is probably one of the most romantic, sweetest films ever. Great list! Did you ever hear of the Spiritual Cinema Circle? They have some titles there also which might interest you. The topic of twin souls is becoming more popular these days. People get tired eventually of constantly hooking up and putting that energy out there to make other people like you. Most people just want something real. I have heard of the SCC since about 7 years ago, I wasn’t really impressed with it at the time and not sure what it’s like now. The guy that ran it was some big-shot Hollywood producer who went bankrupt a few times and the SCC was his way of trying to get back on his feet financially so he could go back to making big-budget movies again. I only heard about twin souls after reading “Gooberz” by Linda Goodman in 1997. The internet was still in it’s infancy at the time so it was hard finding out more information and more titles. Now, the topic seems to have taken off on it’s own. I’m not sure if that’s a sign of people “waking up” to deeper realities or because the information is so easily readible that anyone can reach for it. Even some of the stories I read online of people who have encountered their twin, or think they have, usually sounds like the usual relationship drama and I’m not denigrating that. I think you need to go through those experiences to see them for that they are and then to appreciate and recognize when the real thing does show up. I do think the real thing almost has a cosmic dimension to it. More importantly, those kinds of relationships are based on an infinite amount of goodwill, there really isn’t any fear tainting it. In my own life, I first encountered my twin when he was middle aged and somewhat youthful looking in appearance, and didn’t consciously recognize him as my twin at that time, though subconsciously I think I knew. I ran away from him for several years, not even realizing that I was doing so to get away from him. We met again coincidentally in an out-of-town church service several years later at which I quietly spotted him and ignored the fact. He silently came and sat next to me and I didn’t speak to him. During a hymn, he silently took my hand and gazed at me, and I was so overpowered by it that the only thing I could do for several awkward minutes was to look down mutely at my hymnal and then quietly leave the church when he released my hand. The story gets more interesting from there, but I won’t print it. What is most interesting to me is that it wasn’t until he became old and disabled that I recognized him unmistakeably as my twin – the same person young and handsome just didn’t wake me up at all (and I am a half generation younger than he is). Thanks Roberta for the recommendations! I had completely forgotten about “Groundhog Day”, big Bill Murray fan here. Thank you for sharing your story. I think the power of twins is such, that if you’re not ready for it, the first instinct is to flee. I’ve often read that what is truly spiritual attracts us but also repulses us and for some reason that makes sense to me. Hey, love your writing and humour – thanks. What about ‘Don Juan de Marco Maestro D’Amore’? I think it’s about twin soul relationship. Re ‘More importantly, those kinds of relationships are based on an infinite amount of goodwill, there really isn’t any fear tainting it.’. In my experience there can be some fear. Like many experiences, there are so many levels to them and feelings involved. It can be scary to meet someone who you have such a deep connection with and who mirrors you, who you can see yourself clearly in, your strenghts and your weaknesses. I think that line from the Bible that they always read out at weddings, really says it all: 1 John 4:18, “There is no fear in love, but perfect love casts out fear. For fear has to do with punishment, and whoever fears has not been perfected in love. 1 Corinthians 13 “If I give all I possess to the poor and give over my body to hardship that I may boast, but do not have love, I gain nothing. Love is patient, love is kind. It does not envy, it does not boast, it is not proud. It does not dishonor others, it is not self-seeking, it is not easily angered, it keeps no record of wrongs. Love does not delight in evil but rejoices with the truth. It always protects, always trusts, always hopes, always perseveres. I agree that confronting the mirror image of ourselves can be terrifying because it’s a doubling up of our own faults as well as our own best qualities. This line from the above I think, alludes to Twinship in particular, “For we know in part and we prophesy in part, but when completeness comes, what is in part disappears.” I think true twinship, when both Twins are ready, right time, right place, right person is marked by the complete absence of fear. It is nothing less than walking into pure bliss. Re: I think true twinship, when both Twins are ready, right time, right place, right person is marked by the complete absence of fear. It is nothing less than walking into pure bliss. But then again, perhaps fear is just another part of our experiences. The end of duality may be bliss but perhaps it does not mean the absence of so called ‘negative’ emotions but all emcompassing of things and a lack of division between ‘positive’ and ‘negative’, ‘good’ and ‘bad’. So bliss is bliss but doesn’t mean nothing ‘negative’ exists. Perhaps ‘fear’ isn’t to be feared and can even be present in bliss. Perhaps bliss is acceptance of all that is and not a rejection of anything that isn’t ‘positive’. I believe, at least at this present time, that even when we unite with our twin, that we continue to learn and to grow. (and btw I think we are always with our twin in some ways). This may involve different experiences, which we may perceive as ‘good’ and ‘bad’. Maybe by this stage we will have gone beyond this differntiation. Bliss can exist now, even with fear and other emotions etc with our without our twin (at least we might feel with or without in our current reality and consciousness but I think we are always together in a spiritual sense). MADE IN HEAVEN with Kelly McGillis & Timothy Hutton should be on the top of this list. About twin flames….one dies and goes to heaven and meets the other who was never born. other on earth and continue the love they shared when they met in heaven. Beautiful story! I have not seen that movie so I will definitely check it out sometime. Thanks for the suggestion 🙂 ! Wow, I now have a ton of new movies to watch. As a fellow “twin” I appreciate you sharing this. It’s certainly one of the most intense experiences I’ve ever had. I like your work here and are not being negative. I’d just like to say something as someone who is caught up in the twin flame phenomenon. I’m a medium, I did not know until I ran into her and saw her eyes. She activated my chakras. I have seen “ghosts” since I was a child. I live with one 20 years ago as did my children and ex wife. She was there because of me. I know this now. The movie ghost. They were not twin flames. If my twin flame was to die and come to me. I would see her. The twin flame thing should not be compared with normal love stories, as it’s far from normal. A lot of people are saying they have met their twin soul online. I say this. No psychic abilities? Forget it, you’re kidding yourself. It’s a hard process. People need to stop fooling themselves. My research tells me mediumship is common with this. Not a medium, it didn’t happen to you.